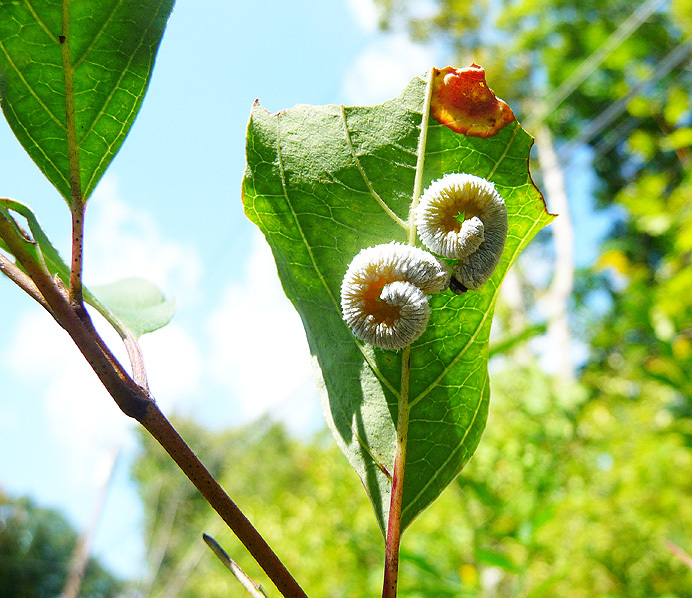 I found these white, chalky-looking caterpillars feeding on a bush on King Street today. There were dozens, and every one of them was coiled into a right-handed spiral. At first glance, I thought they were bird droppings—but all clung to the undersides of the leaves, instead of sitting on top. Can you identify them? (The type of bush would be a clue, but alas, I don't recognize that, either.) .